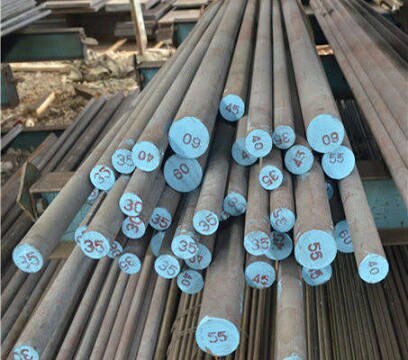 High-speed steel (HSS or HS) is a subset of tool steels, commonly used as cutting tool material. It is often used in power-saw blades and drill bits. It is superior to the older high-carbon steel tools used extensively through the 1940s in that it can withstand higher temperatures without losing its temper (hardness). This property allows HSS to cut faster than high carbon steel, hence the name high-speed steel. At room temperature, in their generally recommended heat treatment, HSS grades generally display high hardness (above Rockwell hardness 60) and abrasion resistance (generally linked to tungsten and vanadium content often used in HSS) compared with common carbon and tool steels.